I couldn’t choose! 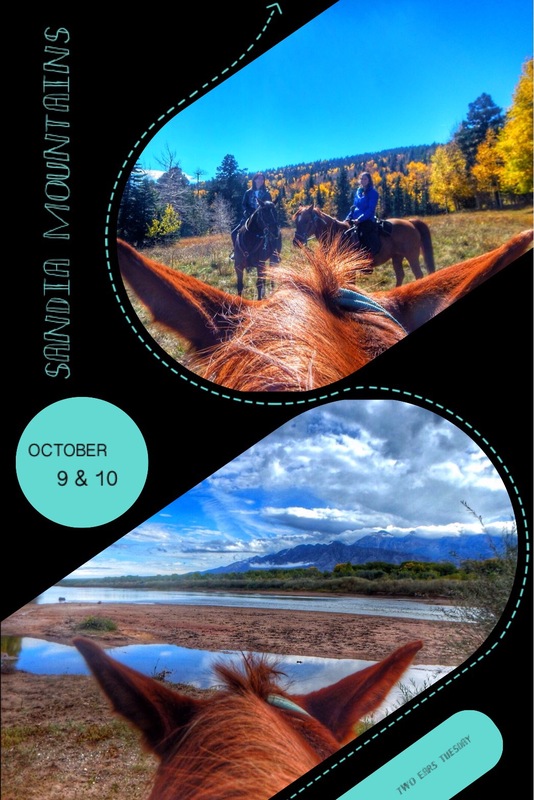 The Sandia Mountains are so beautiful this time of year so I decided to show them from the back side, full of golden aspen splendor, and the front side, swirling in clouds and the banks of the Rio Grande stretching at their feet. We had a spectacular weekend riding with this mother daughter due from California. Thank you Linda and Shannon for joining us for this end of the season ride.